I was thrilled when Samantha announced that limes were the main ingredient for Cooks in the Kitchen. It was the perfect opportunity to share a little piece of what I love with you. Being born and having spent the first nine years of my life in Brazil was an experience that still impacts me today. I'm grateful for the childhood years lived in another country allowing me to see a different way of life. Brazilian food was also a big part of my childhood years. I can't recount the various occasions we visited people's homes and spent time getting to know one another over a meal or coffee. If you visited someone's home there was food involved - lots of it! To this day I still love Brazilian food and I enjoy cooking it at home. I wanted to start documenting some of these recipes. It's a little piece of what I love so dearly, shared with you. 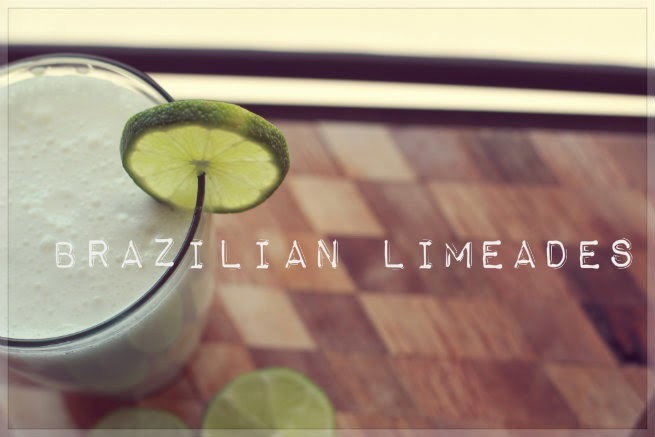 Do you like limeades? What's your favorite drink to make? Beka, these look amazing! I can't wait to give try this recipe! Oooh this looks awesome! Thanks for sharing - I just pinned it! 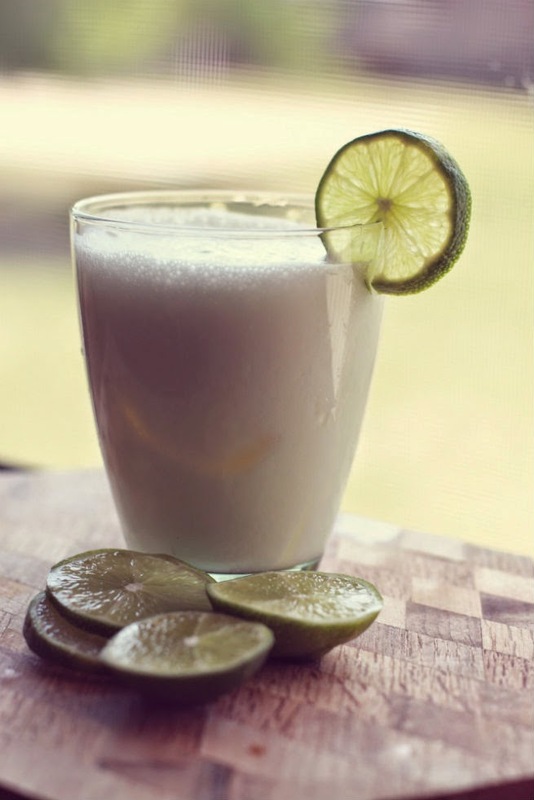 limonada suíça! my husband's favorite! I'm sure you will enjoy them. I don't make them too often because of all the sweetened condensed milk but a treat now and then is really delicious! I hope you enjoy it and thanks for pinning it. I forgot all about that Brazilian name! Do they still make them this way in Brazil? I sure do wish they had fresh pressed sugar cane juice here in the States. I love that stuff. I've never had it with the ice blended in, but they do use the sweetened condensed milk. It's a little too sweet for my liking, but Peter, having grown up here, is obsessed with anything made with sweetened condensed milk or doce de leite! I just added the ice in because me and my sister do that. I didn't know Brazilians didn't add ice. I do think they are super sweet! I think the milk can be reduced to preference.Yes to the sweetened condensed milk. My dad sometimes boils a can of it so it will turn to caramel and then he eats it. ha! 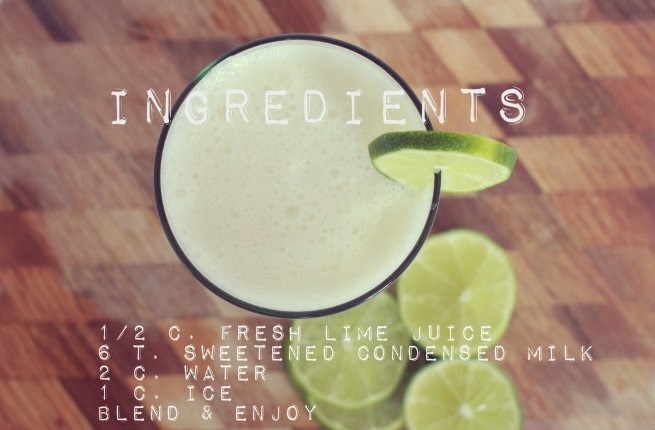 Looks delicious-the perfect summer drink! 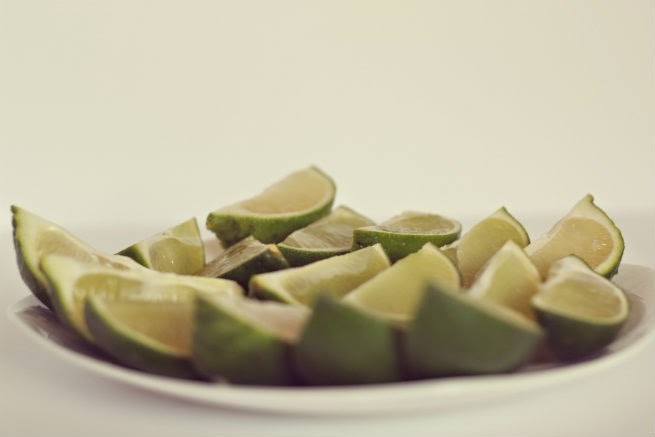 I need to encorperate lime into my juices more! Yum this sounds so good! Thanks for linking up! This looks awesome! I love that it's Brazilian! I totally want to try this! Mmmm this sounds delicious - I'll have to try it out! Awesome! Maybe you can drink it while downing a whole bag of pretzels. ha! I put lime and lemons on so much stuff! They are some of my favorite ingredients. Hope you enjoy the drink. Of course! Thanks for hosting it. Such a fun idea! Thanks! If you try it out let me know. for sure! It's super good. You can always add less or more of the milk too. Some people don't like it as sweet. Yummy! These sound delicious. I am definitely going to try 'em. Thanks for sharing! You are so welcome! Hope you enjoy them. You are so nice! Thanks for the words of encouragement. I definitely agree that the photography challenge has helped me out. People's tips and tricks, along with a bunch of practice, have really helped me out.